Nobody ever wants to experience the pain and discomfort of a toothache. But the truth is, toothaches can happen to anyone, and they can come without warning. 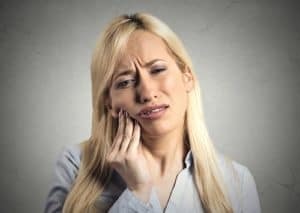 While the best way to treat a toothache is to see your dentist in Silverdale as quickly as you can, there are some things you can do before your appointment to help ease the pain. Toothache pain can come with a lot of discomfort. But this pain doesn’t necessarily stay only in the affected tooth. You can get a headache, your gums may pulse, and your entire mouth can feel the effects. Try these tips to help. Salt Water Rinse – Gently swish a solution of warm water and salt around your mouth a few times a day. This will help dry out fluid in the affected area and ease pressure on the nerves. Just make sure not to swallow the concoction. Ice – Just like any other injury, ice can help reduce inflammation and pressure on the nerves. Put an ice pack or a cold compress on the side of your face where the pain is coming from. Don’t put anything cold directly onto your skin. Use a cloth as a barrier. Anti-inflammatories – Over-the-counter anti-inflammatory medications may also ease toothache pain. Read the label on the bottle to determine how much should take. Remember, swallow the medication and do not apply it directly to the gums or tooth. Floss – If a piece of food stuck between two teeth may be causing the pain it’s ok to take a piece of floss and gently try to wiggle it out. The keyword here is gently. Too much pressure or roughly flossing can cause damage and more pain. Anesthetic – Many pharmacies and grocery stores carry over-the-counter oral anesthetics for tooth pain relief. They will temporary numb your mouth so you can get a little relief. However, these gels or liquids are not meant to be a permanent solution. There’s no one thing that can cause a toothache. Many things ranging from decay, cavities, or a dental injury may be to blame. While usually caused something minor which is easily treated at our Silverdale dental office, there are times when a toothache may be a sign of gum disease, infection, or chronic tooth grinding. Whatever is causing your toothache, it’s best to get it checked as soon as you can to avoid the need for in-depth treatment. Although toothaches can happen to anyone at any time, there are certain precautions you can take to reduce your risk of getting one. First, make sure to keep up with your dental appointments every six months. These dental cleanings and exams can catch potential problems before they have a chance to turn into an unwanted toothache. Second, practice good oral hygiene habits of brushing and flossing every day to remove food particles, bacteria, and plaque from teeth that could otherwise cause decay. You don’t need to continue to suffer from toothache pain, and often times they’re easily treated. Try these at-home remedies and schedule an appointment at our dental office in Silverdale as soon as you can. We’re always happy to help.